Vintage Marquise and Round Diamond Engagement Ring | Shane Co.
Crafted from quality 14 karat white gold, four marquise shaped diamonds (approx. .19 carat TW) and ten brilliant round diamonds (approx. 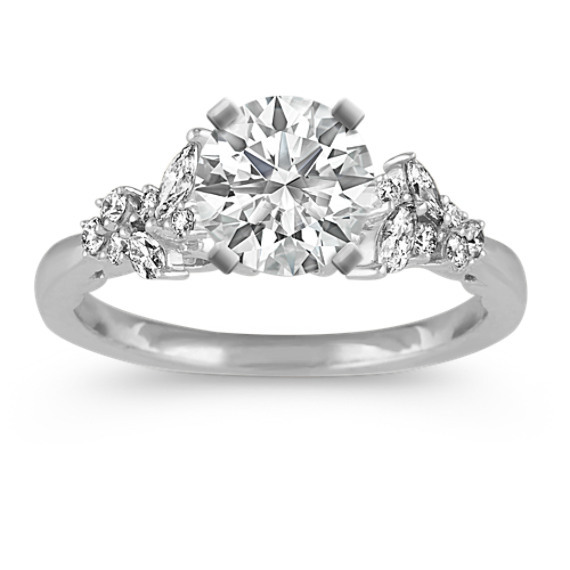 .13 carat TW), sparkle throughout the vintage-inspired cathedral engagement ring. This engagement ring measures 6mm at the center and is the perfect backdrop for the center gemstone of your choice.